THE need for more small-scale mining training centres has been highlighted during the recent alluvial mining convention and tradeshow held in Lae. 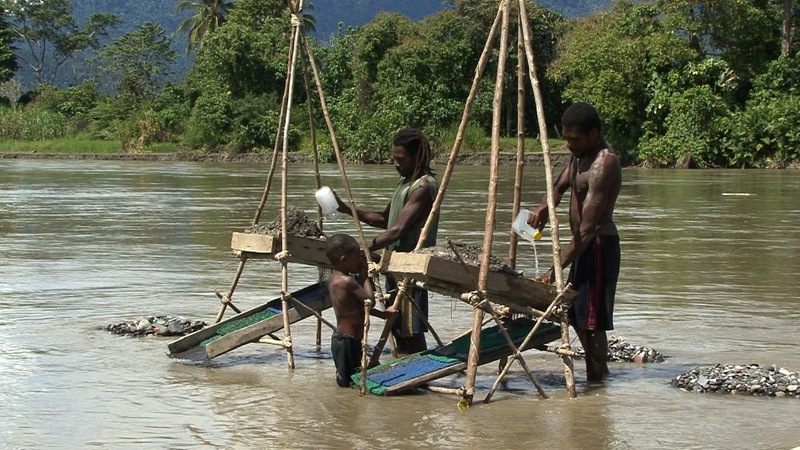 Alluvial mining schools established in all four regions of PNG will cater for small-scale miners and developers in the industry who are not aware of the requirements. There is currently only one training centre established by Mineral Resources Authority (MRA) and that one is in Wau, Morobe. Minister for Mining Johnson Tuke highlighted the need for more training centres but also said there were many challenges to that. “The budget has already closed but we still need to make sure this happens through a submission,” he said. “This will happen only if there is support of politicians and governments of alluvial mining areas. “The funds can go to MRA. “MRA can manage it for the sake of our alluvial miners around the country. “Our locals must be encouraged to take part in the alluvial mining sector. “We need to establish one training centre, possibly at Kainantu, one in Alotau and another in Kavieng or Namatanai. “We need to provide incentives for our local miners. Bulolo MP and Government minister Sam Basil also supported the idea. “For alluvial mining and training programmes, similar set-ups like the training centre in Wau must be established in regional centres to accommodate the demands of the alluvial mining regions,” he said. Alluvial miners need to be properly trained on the use of mercury, occupational health and safety, and social issues such as child labour, drugs, HIV and AIDS and gender. Small-scale gold miners who directly handle mercury while extracting gold have a greater risk of developing heart disease, a study reveals. Michael Kiapulkalow, a senior environmental science lecturer at University of PNG, said mercury and its compounds were highly toxic and had adverse effects on human health, wildlife and the environment. He said this during a workshop on chemical and waste management by Conservation and Environment Protection Authority (CEPA). This was in regard to thousands of artisanal small-scale gold mining activities throughout the country where people were exposed to chemicals that could harm them. “Mercury is highly toxic, causing damage to the nervous system at even relatively low levels of exposure” Kiapulkalow said. “In Wau-Bulolo district in Morobe and Misima Island in Milne Bay, hundreds of people have been exposed to mercury and will encounter long-term health problems. “It is particularly harmful to the development of unborn children if a pregnant women is exposed or involved. “Mercury usually collects in human and animal bodies and can be concentrated through the food chain, especially in certain types of fish. Women who are breastfeeding or might become pregnant should limit their interaction in and around those small scale gold mining areas, since there is high amount of mercury concentration released into the environment. Kiapulkalow said CEPA had implemented a convention with the national government to address the issue by putting in place the Minamata Convention (MC). “MC is a global treaty designed to protect human health and the environment from the adverse impacts of mercury and its compounds,” he said. “PNG was not able to sign the MC and is currently not a party to the MC. “There is currently a joint National Executive Council submission between Foreign Affairs Department and CEPA for PNG to accede to the MC. “PNG will look to becoming a party to the Minamata Convention in 2019. 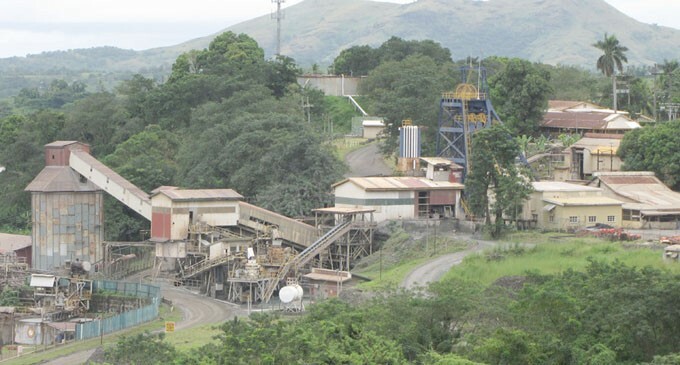 ANY steps that could be taken to increase safety at Vatukoula Gold Mines PLC (VGM) will be highlighted during a board of inquiry into the death of Avinesh Ram, a miner who allegedly lost his life during an underground incident last week Wednesday. This was the word from VGM corporate services manager and special adviser to general manager Dinny Laufenboeck in response to questions raised by this newspaper. “A board of inquiry under the chairmanship of an independent official appointed by the Mineral Resources Department continues into the fatality which occurred underground at the Vatukoula Gold Mines on May 2, 2018,” she said. “As this is a legal process mandated by the Mining Act, please address any requests for information to the PS (permanent secretary) for Lands and Mineral Resources. Mr Ram allegedly died after he fell into a sinkhole in the R1 underground shaft on May 2 and became trapped under 20m of rock and soil. A 38-YEAR-OLD man is dead after an alleged incident at the Vatukoula Gold Mine yesterday. When this edition went to press last night, police spokesperson Ana Naisoro said attempts to recover the victim’s body was still underway. VGML corporate services manager Dinny Laufenboeck said a rock fall occurred in the R1 shaft underground and emergency rescue teams and the mine general manager were at the site. It is understood the incident happened at about midday yesterday. The Mineral Resources Department had closed underground mining operations in April last year after a series of accidents and death of a worker. Two others who were with the six, escaped with minor injuries. They have since been treated and discharged. The bodies of the six have since Sunday morning been retrieved from the tunnel, TV3’s Kwabena Adu-Gyamfi who is at the site at Kenyasi in the Brong Ahafo region reported. Newmont, which commenced operation in Ghana in 2006 currently, operates two main mining sites at Akyem and Ahafo in the Eastern and Brong Ahafo regions respectively. Following the Saturday freak accident, the company ceased mining operations at the Ahafo site in solidarity with the victims and their families as well as colleagues. But at a meeting with the Minister for Lands and Natural Resources who visited the scene of the accident, acting Mines Manager at the Ahafo Mines, Okyere Yaw Ntram revealed the Akyem mine has also suspended operations. “Our sister company in Akyem have also stopped operations. They suspended operation in solidarity with us until we resume back to work when the place is safe,” he told the Minister. Though the suspension could potentially affect the production of the company and its revenue, Mr. Ntram told journalists “money is not of the essence now” as the company is focusing on empathising with the families and the employees. “I think at this stage the important thing is to empathise with the deceased and their family and the communities and the employees that worked close with them,” he added. The cause of the accident is yet to be established but it is suspected to be the result of a structural defect. Fresh concrete that was being cast on the roof of the tunnel collapsed on the eight-member crew working in the tunnel at the time, thus trapping them in the process. Initial attempts by some other workers around to rescue them from the mortar proved futile “due to the extremely large quantity of the mixture”, one of our correspondents reported. Though he said investigations are ongoing, he said, “It is clear that the props that support the slabs probably might not be well placed and that could trigger… the surface slab to cave in; over 1000 cubic metres of concrete”. Meanwhile, the Minerals Commission has been commissioned to lead the investigations into the accident. It will have about two weeks to present its findings on the accident. The accident scene has been taken over by the Minerals Commission , which is expected to among other things, establish what really happened and whether there were any breaches of safety regulations. The investigative team is also expected to go into the structural design of the facility which collapsed to establish whether the roof was designed to take the about 1000 cubic metres of concrete. 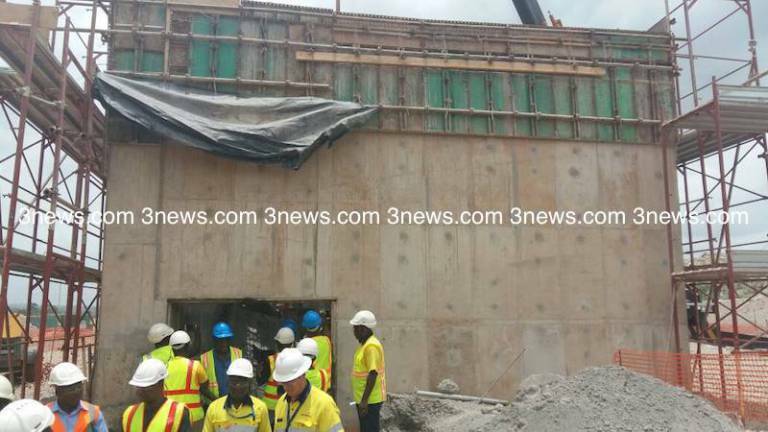 Mr. Amewu noted it was early to be talking about sanctions against the mining firm, which he said, is one of the mining companies in the country that is very concerned about high safety measures. “From what we are hearing if it is true that they asked workers to go beneath to find out what is happening because they detected that some structural unsoundness happened so the workers had to come down. If that is true, then actually something wrong might have happened” he said but added he wouldn’t want to pre-empt the outcome of the investigations. 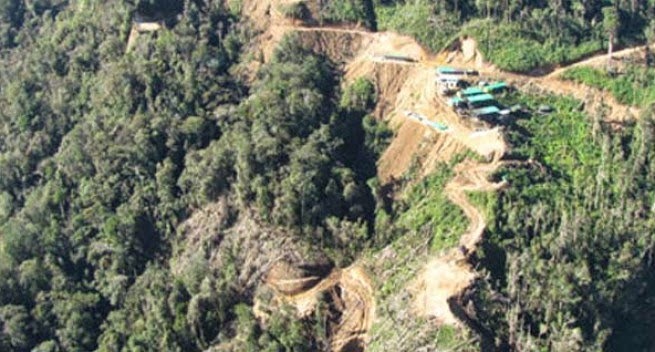 Crater Gold Mining has received approval from the Mineral Resources Authority of Papua New Guinea to restart operations at the Crater Mountain project. A new mine plan has been approved by PNG’s chief mines inspector following months of work by Crater Gold’s in-country management team. According to Crater Gold, two inspections of the site, associated facilities and mining equipment have been carried out by the mine safety inspection team. Crater Gold and the authority have also agreed to a schedule of ongoing improvements at the site. Russ Parker, Crater Gold managing director, said the company worked hard to overcome obstacles of the past at Crater Mountain. “We now look forward to driving this project along the right road and generating income from mining operations as soon as possible,” Parker said. “Work has already resumed on the development of the 1930 level adit and mining has kicked off in the 1960 level.